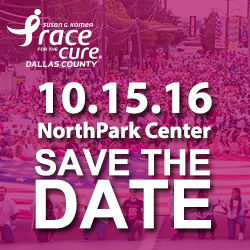 The Komen Dallas office is gearing up for the 2016 RFTC and wants you to Save the Date, Saturday October 15! Registration will open early May. If you or anyone you know would like to volunteer for this year’s Race, please contact Hilda Avila Marketing and Events Manager at havila@komen-dallas.org for volunteer opportunities. We are currently recruiting volunteers for various opportunities such as: The Street Team, Committee Chairs and Committee members. If you didn’t get a chance to attend last year’s race, check out the 2015 RFTC Video provided by our Host sponsor NorthPark Center. Thank you NorthPark! 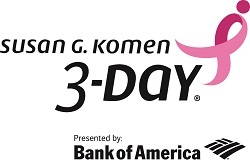 Registration is open for the national Susan G. Komen 3-Day®. 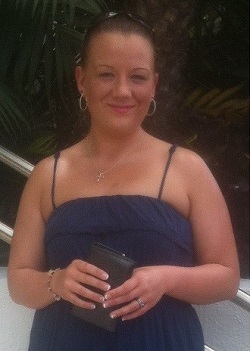 Come experience a life changing celebration of hope, perseverance, determination and survival! To quote one of our very own Executive Directors within the Komen network, “It’s like the best girl’s weekend ever with a cause.” Those who participate in both Komen Dallas Race for the Cure® on October 15, 2016 plus Susan G. Komen 3-Day® November 4-6, 2016 will receive a special on-stage recognition at the 2017 Komen Dallas Race. We challenge you to really show your pink support by participating in both events! American Recyclers is proud to announce that we have partnered with Susan G. Komen® Dallas County. Be on the lookout in Dallas County for our clothing Collection Boxes with the Komen Dallas County logo and make your clothing donation! We are honored to be part of the fight against breast cancer. We look forward to further developing a mutually rewarding partnership and working together to fulfill their promise to save lives and end breast cancer forever. The 2015-2016 grant cycle ended on March 31, 2016 and the 2016-2017 grant cycle begins on April 1st. An announcement of the new 2016-2017 Community Partners will be made soon. Komen Dallas County would like to thank all of the 2015-2016 Community Partners who helped the Affiliate fulfill its mission within Dallas County. If you would like to inquire about the Community Grants Program, or if you have any questions, comments or concerns, please contact Aisha Heath Mission Manager at aheath@komen-dallas.org or 469-619-3906. 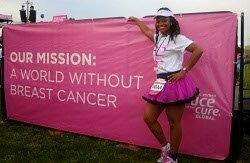 What volunteer work do you do for Komen Dallas County? How long have you been volunteering with Komen Dallas County? GLUTEN FREE: TO BE OR NOT TO BE? That is the question that many people are asking about their diet. 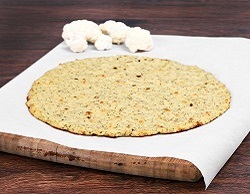 Kalli Castille, director or nutritional support & culinary at Cancer Treatment Centers of America® (CTCA) in Tulsa has the truth about gluten.